“This cannot happen,” said Chris Fowler. But it did. A grand sporting moment devolved into a tumultuous circus. In the much-anticipated battle between tennis’ prevailing queen, Serena Williams, and its rising debutante, Naomi Osaka, the joker won. The middle didn’t hold – chaos reigned. The US Open was a soap opera disguised as a Slam final. Fury and fire descended. The umpire imposed himself and played a critical role. The greatest woman in sports was in tears, a sweet rising star was baffled, and would be denied her glory. After she won Indian Wells, she admitted, “I didn’t know that I’d won the match point. So then I was sort of, like, Caveman Spongebob.” Her cryptic comments and often spare insights would probably draw approving nods from your local Zen master. Just 20 years old, and seeded No. 20, Osaka entered her first Slam final with her game on fire. In the semis against Madison Keys, she saved all 13 break points that she faced. Her coach, Sascha Bajin, told IT that everyone on this planet could learn from her innocence. Serena is hardly an innocent. No other active woman athlete has done so much. No other star has become enmeshed in so much controversy. Along with Michelle Obama and Beyoncé (who was on hand today), Serena is said to be one of three black avatars for African-American women. Her picture is on the cover of Time Magazine and in classrooms and bedrooms across this land. Aspiring girls look to her. She’s a role model for overwhelmed mothers. Nerdy sociologists at conferences stand and chant her name. Today Serena sought to equal Margaret Court’s record for the most singles Slam championships – 24. Mother, wife, social activist, celebrity, TV salesperson and all around wonder woman – in just a year, she gave birth, survived a brush with death, got married, was front and center at a royal wedding and reached two Slam finals. Fashionistas debated what was more impressive: that she courageously wore a black bodysuit in Paris, that she dazzled in a stunning designer dress at a royal wedding, or that she danced through the Open draw in a tutu. All the while, her standing soared. Tonight she roared. Over 23,000 people – from A-list celebs to everyday Serena fans sporting shirts that read “Rena’s Army” and “I Am Many” – had come to see history. Instead, they got chaos. Sports is supposed to give a definitive result and to lift our spirits. Neither happened tonight. Then after she was broken in the sixth game of the second set, Serena broke her racket in fury – Smash! She got a second code violation and started the next game down a point, 15-0, on Osaka’s serve. After losing the 3-all game, Serena let loose at ump Carlos Ramos. “You are attacking my character. You will never be on a court of mine. Say you’re sorry. You owe me an apology…You stole a point from me. You’re a thief!” As Serena walked back onto the court, Ramos issued a game penalty for her third code violation – verbal abuse. The crowd was in an uproar. Broadcaster Fowler had said, “This cannot happen” – but it did. The throng was stunned and confused. Outrage prevailed. Her third code violation cost her a full game, which put her down 3-5, just one game from defeat. An aura of déjà vu descended. Historians recalled numerous Serena implosions. In 2004, she suffered many bad calls when playing Jennifer Capriati, an injustice that drew a USTA apology and quickly led to the implementation of electronic scoring. In 2009, when playing Kim Clijsters, after being called for a foot fault, she told the linesperson she was going to shove a ball down her throat. Then, against Sam Stosur in 2011, she got a key code violation for yelling “C’mon!” while hitting a winner. Some insisted this was all by the book. Others shouted, “No way!” claiming that on the court of her home Slam, the great American has often been wronged. What was wrong to the many rabid Serena backers was that, truth be told, she was the lesser player today. Her serve was off, her movement was hampered, she was often distracted and, for all her “C’mons,” she could not sustain a counterattack. 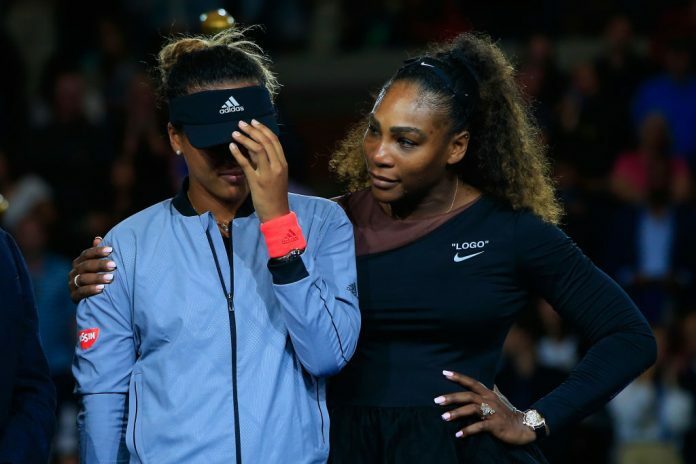 In contrast, Osaka displayed surprising confidence, an imposing power forehand, a punishing serve, virtually airtight play on breakpoints, improved movement, and an uncanny and fearless ability to keep her cool, which helped her unleash a second-set surge in which she won five of the last six games. 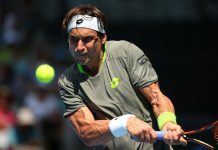 In just 79 minutes, the appealing innocent was now the 6-2, 6-4 winner. Japan had its first Slam champion. New York almost had a riot. The sweetness of Osaka’s extraordinary achievement was soured by the anger that filled the arena. Deafening boos cascaded from every corner. It was frightening. One wondered, will there be a problem? – and who can put out the fire? Before us was the most curious tennis awards presentation since Jana Novotna cried on a duchess’ shoulder. 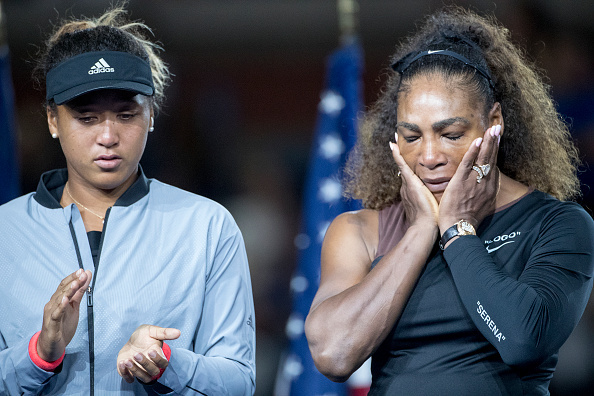 The tennis world was watching a ceremony that was was both controversial and poignant. Serena sensed the moment and, almost heroically, told the crowd, “Let’s make this the best moment we can and we’ll get through it, but give everyone credit where credit is due. Let’s not boo anymore. We will get through this.” Only then did fears of a mini-insurrection subside. Mary Carillo once said that Serena and Venus are always dancing on the edge of a volcano. But Serena knows when to pull back from the brink. She sensed that the irate throng would only listen to her. Sure enough, her sensible words calmed the crowd. Serena’s passionate remarks drew surprising applause from the back of the press room and many comments. And the baffling, helter-skelter evening left observers debating one issue after another. 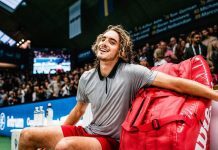 • Has there ever been a more tumultuous Slam final? • How great a shame was it that the ump played such a pivotal role? Should Serena really have been assessed that critical violation for calling Ramos a thief? And in the end how much did it affect the match or prevent Serena from getting into her famous storm-back mode? And was all this official intrusion a result of the longstanding and unchecked trend to impose rules and controls on a powerfully emotional and individual game at every turn? • Should Serena, who was in her 31st Slam final, have somehow been able to compose herself? • How sad was it that a tearful Osaka wasn’t able to bask in unfiltered glory after her victory? And just how touching was it that Naomi said she was sorry she beat Serena and bowed to her? • How ironic is it that Osaka got into the game because her father saw Serena and Venus playing on TV at the French Open, and that Serena has long been Naomi’s idol? • Osaka is celebrated for her innocence. Will all this somehow diminish her wonderful, unspoiled freshness and spontaneity? • How unfortunate is it that the gifted Patrick Mouratoglou even coached Serena, who doesn’t want or need coaching? And what will the conversation be like between Serena and Patrick, who admitted he was coaching and defended it by saying everyone does it? And should coaching be allowed in Slams, as it is on the WTA circuit? • How mind-boggling is it that Osaka is the eighth different woman to win a Slam over the past eight majors? Will she win many more, or even come to dominate? And will Serena eventually equal or break Margaret Court’s record? • Halfway around the world, in Perth, Australia, what was Margaret Court thinking? • Has Serena’s famous self-commentary – “I’m not perfect, I’m just Serena” ever rung more true?